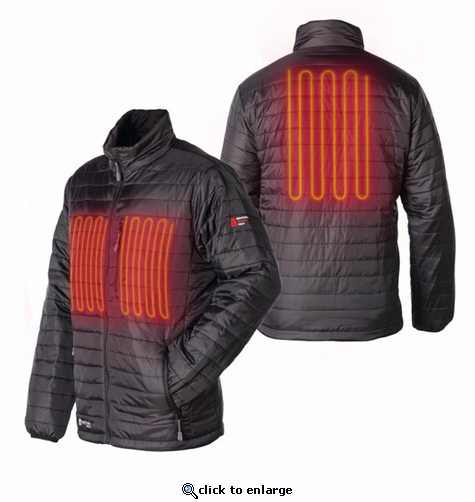 The Venture Heat Battery Heated Insulated Jacket combines style, on-demand heat, and convenience to create the ultimate outerwear heated jacket. Our goal was to design a lightweight and stylish 3 season heated jacket with heat on-demand. The exterior nylon of this jacket is water and wind resistant to keep the cold out. Boasting 3 heat panels, one for your back and 1 on each side of the chest, the Heated Insulated Jacket is guaranteed to keep warm for hours. With an athletic style waist, elastic wrist cups and lightweight insulated layer, the heat will stay inside the jacket and will provide top-quality heat retention. 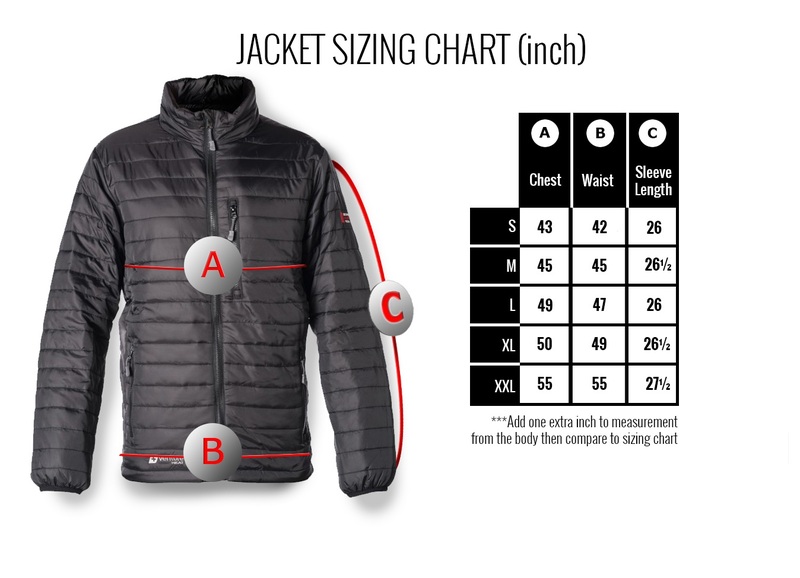 The Heated Insulated Jacket offers 6 pockets for the modern life essentials. These pockets can anything from keys, phone, wallet, and other small items. There's even a pocket big enough to fit your tablet and one specifically for the power bank. The exterior shell is a Ripstop Nylon with 100* gram of Thinsulate insulation. To take the men's puffer vest to the next level, we added a weather repellent coating, making it both wind and water resistant. All of this will keep you warm but when that is not enough, simply turn on the 3 heating panels in the heated vest. 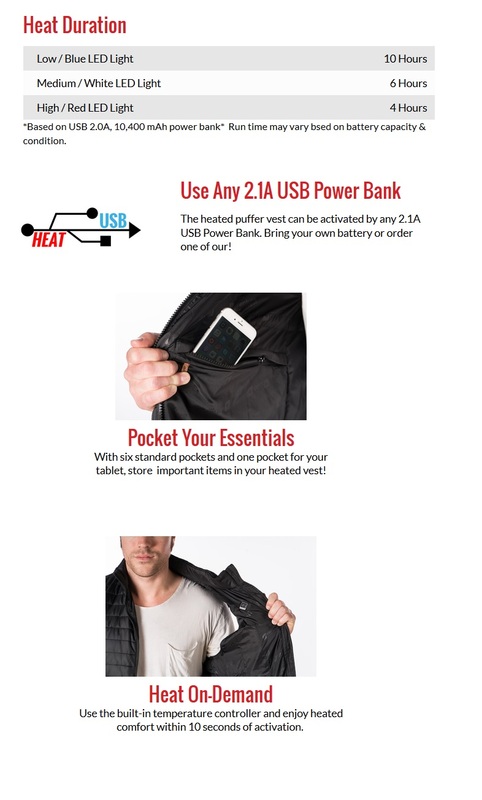 Powered by any 2.0A USB Power Bank, the back heat panel and both chest panels will keep you warm for hours. Plus, the cinch cords on the waist allows you to trap the heat around your core.